Canadians drink more coffee than they do tap water, according to a 2017 report by the Coffee Association of Canada. Are you surprised? Neither are we. Let’s face it, those cold, dark mornings seem to come earlier all the time, and reaching for a steaming cup of coffee is like getting a hug from a dear old friend. But you wouldn’t be friends with just anyone, so why drink any old coffee? We talked to the folks at 49th Parallel to find out what makes good coffee good, and how to make the best cup of coffee at home. Laura Perry spends half the year in Vancouver, and half the year traveling to farms around the world to source green coffee directly for 49th Parallel. Working in the industry for 12 years, we’d say Laura is a bona fide authority on coffee. So what’s the most important aspect of good coffee? Relationships, she says. If you’re confused, let’s take a moment to talk about how coffee comes to be. There are different ways to produce coffee, but Laura explains the Colombian wash process to me like this: ripe fruit is picked from the tree, put into a tank of water and any fruit that floats is skimmed off because the less dense fruit probably won’t have much flavour. The remaining fruit is put through a de-pulper which removes the skin, revealing two seeds. Those seeds still have a sticky coating, so they are left in a tank of water overnight to let yeast and microbes do their work to remove the mucilage. 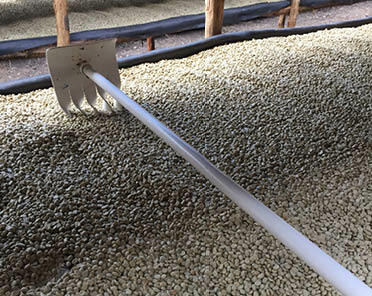 Fresh water is added the next day and the seeds, now called parchment coffee, are laid out on netting to dry for two weeks or until they are at 11 percent moisture. After that it’s into moisture-proof sacs and the green coffee beans are sold to roasteries like 49th Parallel. Throughout this process there are opportunities for problems to arise, especially during drying. After all, you can’t dry coffee in the rain, Laura says forthrightly. Having strong relationships with producers allows Laura to get good information about expected yields and how the beans were treated before export. That way she can better map out when to roast the beans; an ideal green coffee can be stored for 11 to 12 months and retain its origin flavour (natural flavour characteristics that come from the growing region’s terroir). Less stable green coffees need to be roasted sooner to guarantee those subtle character aspects. “We just want to make sure that we know what everyone is making, and that there are controls and feedback loops,” says Laura. 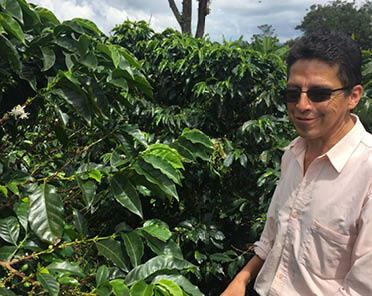 And with crops that rely on micro climates where even a one-degree difference over time can affect what will grow, it’s never been more important to have open communication throughout the supply chain and know the challenges the producers are facing she says. That includes making sure the farmers get a fair price for their coffee. 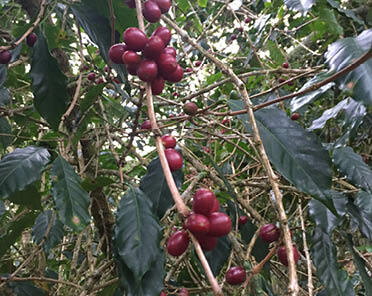 A lot of people think of coffee as a commodity, Laura explains, but the volatile stock market price is not indicative of what it costs to produce quality coffee. Since 90 per cent of 49th Parallel’s coffee is directly sourced and Laura works with many of the same farmers every year, she has a good sense of the cost of production and can make sure the producers are making money. They even publish how much they pay for each coffee, you can read 49th Parallel’s annual transparency report on their website. So make your mornings just a little bit brighter this winter with a directly sourced, well-roasted cup of coffee from 49th Parallel.